Ivory Coast will soon be the first, if not the second African country to have a solar power plant built on water. 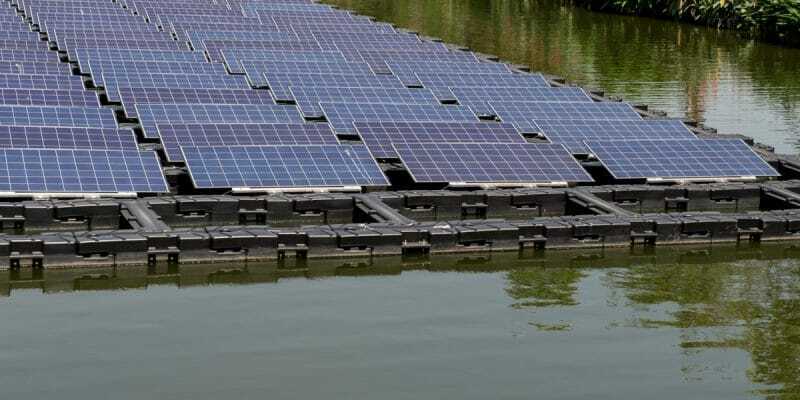 It is a project accompanied by France, which has just launched the construction of its first floating solar plant. France somehow coaches Ivory Coast, in the construction of a solar power plant that floats on water. After launching September 20, 2018, the construction of its first floating solar plant on September 20, 2018, the hexagon turns to Ivory Coast, to set the model in Africa. The French Agency for Development (AFD), signed a convention for enhanced cooperation in the field of sustainable energy with the Ivorian government on November 29, 2018. Will the first solar power plant in Africa be in Ivory Coast? The Ivorian Minister of Petroleum, Energy and Renewable Energies, Thierry Tanoh, announced on Monday, December 3, 2018 in Abidjan that his country would build the “first floating solar power plant in Africa“. A strong statement, which must, however, be nuanced. Seychelles, an archipelago of 115 islands off East Africa, also announced in April 2018, the construction of a first floating solar plant in Africa. A photovoltaic system that will float on lagoon of the “Rock”, in the Mamelles District, east of the country, by 2020. The competition, for the title of first African country to dispose of this type of solar power station, is thus between the Seychelles and Ivory Coast. Are floating PV strictures a breakthrough in Africa?